As regular readers will recall, I asked whether the new MasterChef champion, with her restricted menu of everything 'curried'. 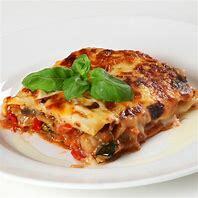 would know what to do with a range of leftover food commonly found in our household kitchens at the end of the week. One of those foods was an overripe banana, as it seems that as a nation, we throw away £80m of bananas every year. Not only do we have no idea what to do with our bruised bananas, our supermarkets have taken it upon themselves to advise their shoppers on how to use them, in an effort to cut food waste. 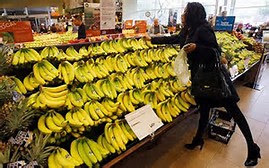 The big retailers are handing out storage and recipe ideas to customers in their stores to help reduce the 1.4million edible bananas thrown away every day by wasteful and lazy Brits. 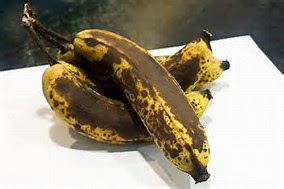 One in three folk currently throw out the frut if there is a single brown mark on the skin, (you should see the three very brown bananas in my fruit bowl, this morning - they will NOT go to waste! ), As many as one in ten of us dump our bananas if they are still not quite ripe. Are you in either of these categories? This waste in bananas, costs British families £80million a year, according to Government sources and reported in the food press. It is therefore admirable that our supermarkets are trying to help us do more about it. Sainsbury's, for example is now encouraging their customers on how to us bruised and blackened bananas to make bread or pasties. It has launched 'pop-up' rescue stations in more than 500 stores, as part of a 'waste less, save more' initiative costing them £10 million. They are providing tips and ideas on how to use up the overripe or blemished fruit. It seems that as shoppers, some of us are on a quest to find the perfect banana and this is resulting in waste that can be avoided. 'Senseless shoppers', is what I say! Press reports this week say that 60 per cent of Brits admit that they never use otherwise discarded bananas in baking. It's all part of our lazy 'bin-it' cultural in the UK, that makes fresh fruit, salad and vegetables top of the food list that most goes to waste. There is no need to bin bananas or any fruit and veg for that matter. It is so easy to use up these leftovers as many of my blogged recipes have proved. 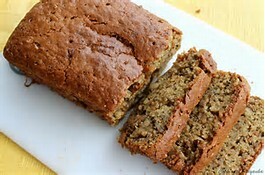 As for the three brown bananas currently sitting in my kitchen - they call out to be part of a delicious banana and walnut cake later today (See the recipe on my blog of 27 May 2016 or use my search engine above). And as for MasterChef winner Dr Saliha Mahmood-Ahmed, no doubt her Asian inspired recipe repertoire will get her to fry-up some banana fritters!